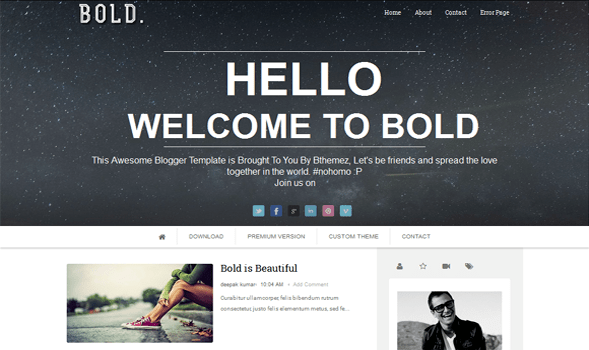 Blod Parallex blogger template is built with clean and modern techniques. its comes with different premium features that help you to setup one professional website. it’s specially designed for Magazine, Newspapers and Reviews related blogs.